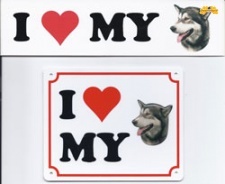 I love my Alaskan Malamute 20 cm * 5 cm. 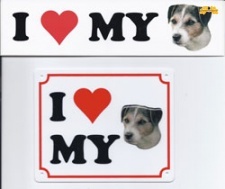 I love my Beagle 20 cm * 5 cm. 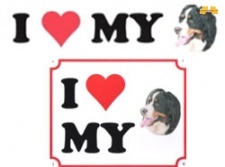 I love my Berner Sennen 20 cm * 5 cm. 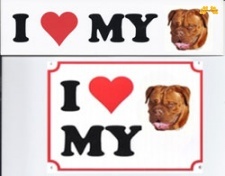 I love my Bordeaux dog 20 cm * 5 cm. 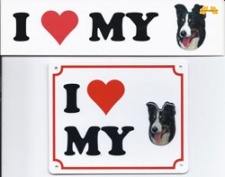 I love my Border Collie 20 cm * 5 cm. 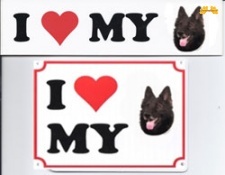 I love my Bouvier 20 cm * 5 cm. 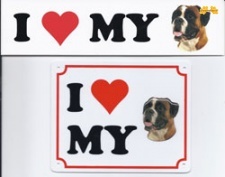 I love my Boxer 20 cm * 5 cm. I love my Bull Mastiff 20 cm * 5 cm. I love my Bull Terrier 20 cm * 5 cm. I love my Dobermann 20 cm * 5 cm. 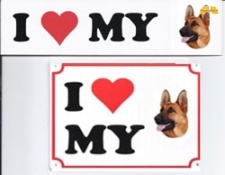 I love my Duitse Herder 20 cm * 5 cm. 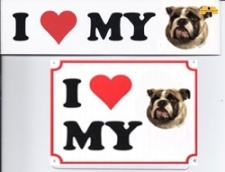 I love my Engelse Bulldog 20 cm * 5 cm. 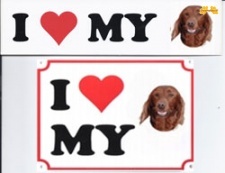 I love my Flatcoated Retriever 20 cm * 5 cm. I love my Franse Bulldog 20 cm * 5 cm. 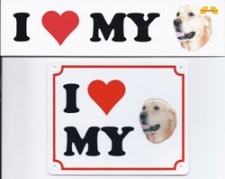 I love my Golden Retriever 20 cm * 5 cm. I love my Groenendaeler 20 cm * 5 cm. 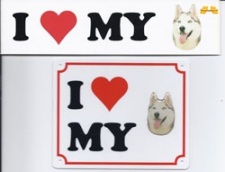 I love my Husky 20 cm * 5 cm. I love my Ierse Setter 20 cm * 5 cm. 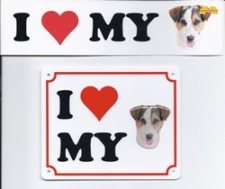 I love my Jack Russel 20 cm * 5 cm. 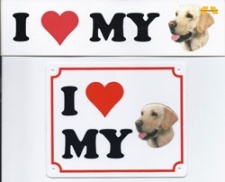 I love my Labrador blond 20 cm * 5 cm. I love my Labrador bruin 20 cm * 5 cm. I love my Labrador zwart 20 cm * 5 cm. 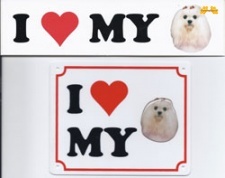 I love my Malthezer 20 cm * 5 cm. I love my Mechelse Herder 20 cm * 5 cm. I love my New Foundlander 20 cm * 5 cm. I love my Rottweiler 20 cm * 5 cm. 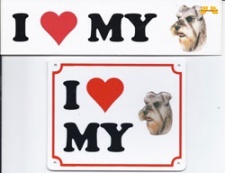 I love my Schnauzer 20 cm * 5 cm. I love my Sharpei 20 cm * 5 cm. I love my Shin Tzu 20 cm * 5 cm. 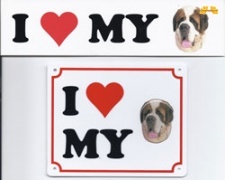 I love my Sint Bernard 20 cm * 5 cm. 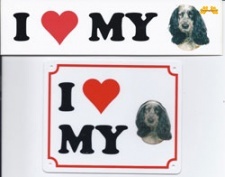 I love my Spaniel 20 cm * 5 cm. 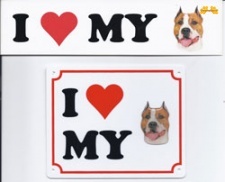 I love my Staffordshire Bull Terrier 20 cm * 5 cm. I love my Teckel 20 cm * 5 cm. I love my Teckel ruwharig 20 cm * 5 cm. I love my Tervuerense herder 20 cm * 5 cm. 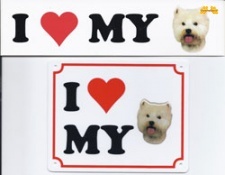 I love my Westy 20 cm * 5 cm. 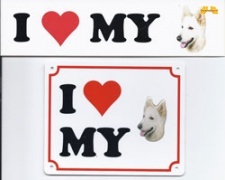 I love my Witte Herder 20 cm * 5 cm. 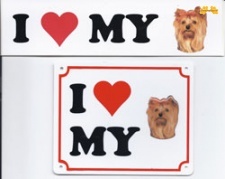 I love my Yorkshire Terrier 20 cm * 5 cm.